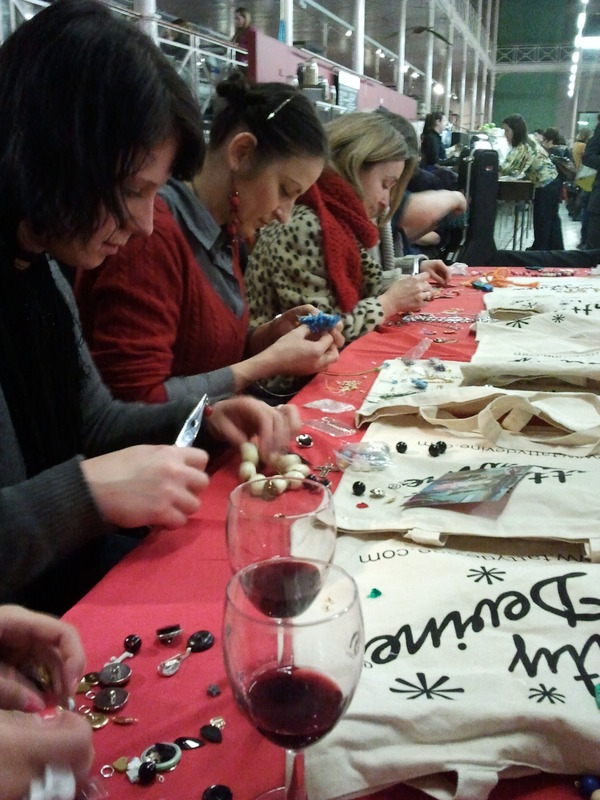 But I didn’t expect to take part in a jewellery making masterclass being offered by jewellery supremos Tatty Devine! Thankfully for me, Shinks signed me up for the class while I was on the tube (good job she did as it was booked out almost instantly) so with pliers in hand, I selected a handful of shiny acrylic shapes and sparkly doo-dah (such a magpie) and got down to work. And despite being puny of finger (I’m puny of most things), with a few hints from Harriet Vine, one of the two founders of Tatty Devine, I managed to create not one, but two masterpieces!! 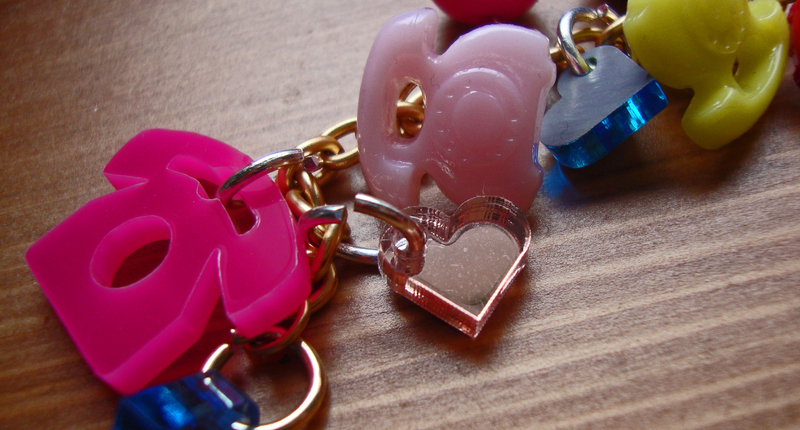 Hearts and stars charm bracelet. I’m such a 3 year old, trapped in the body of…someone slightly older (ahem) than 3. 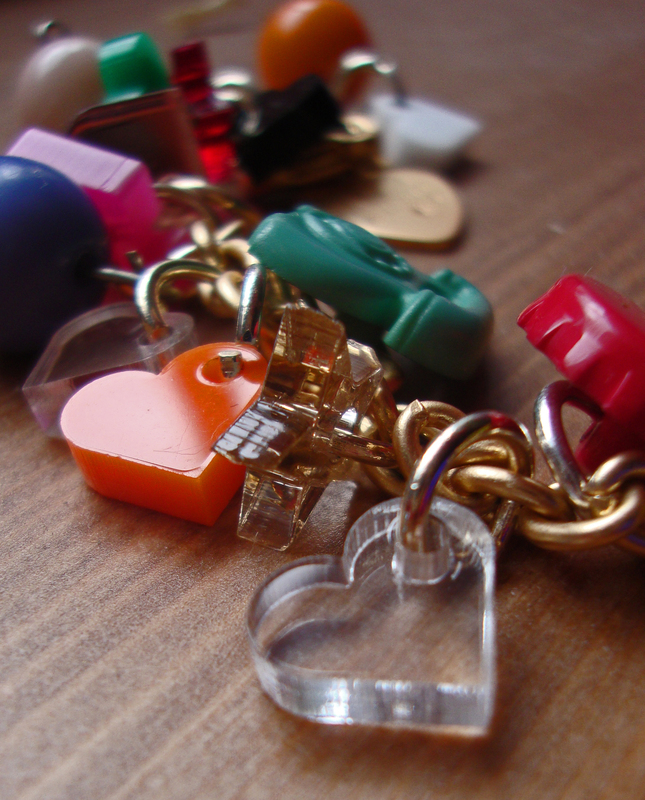 Hearts and telephones… I do spend a lot of time on my phone… perhaps too much time. There’s even a matching ring!!! Feeling pleased with myself is such an understatment. TSA: How did you meet? H: We meet at Chelsea School of Art and became flat mates. 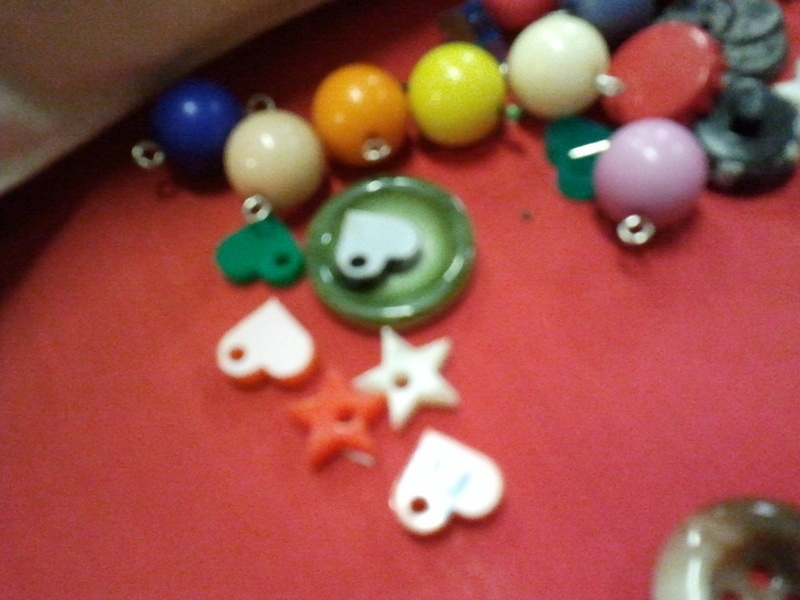 We were studying Fine Art and had every intention to become artists, but I guess jewellery making became out destiny! 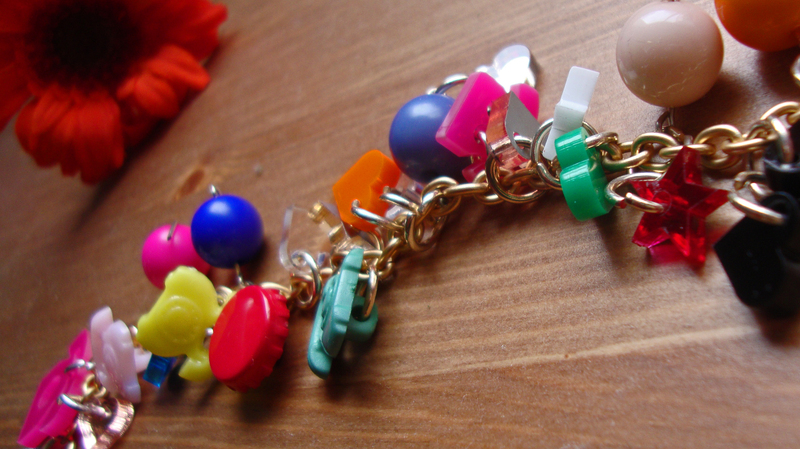 TSA: What was the original inspiration behind Tatty Devine? H: We found lots of bags of leather on the street and turned them into wrist bands, which were inspired by a bit of old belt I was wearing round my wrist at the time. 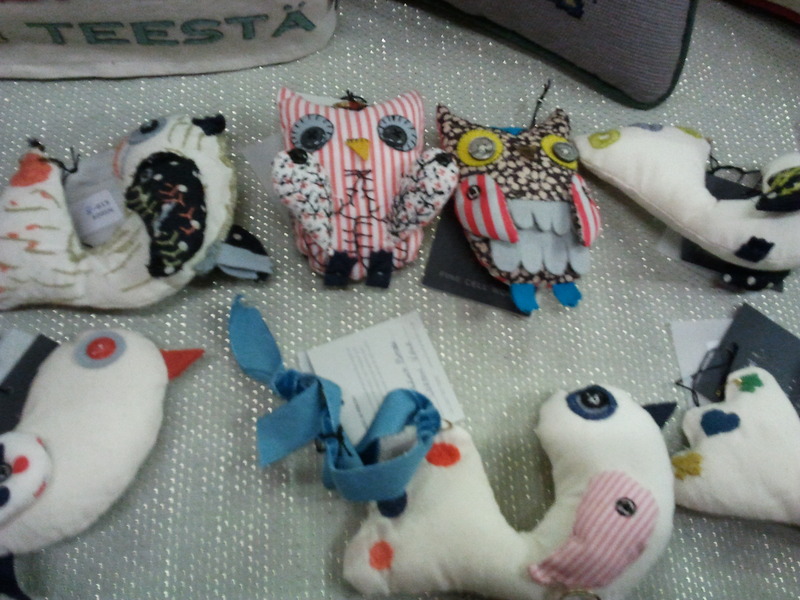 We started selling them at Portabello Market, and Spitalfields and they were selling out every week! A stylist from Vogue saw Rosie wearing a hairband and loved it. Our collection then featured in the Millennium edition of Vogue, which was just incredible. It wasn’t until we went to New York that we became inspired by all the colours of acrylic and the amazing shapes you can make with it. TSA: Of the pair of you, who is Tatty and who is Devine(divine)? H: We are both Tatty and Devine! One cannot be without the other. 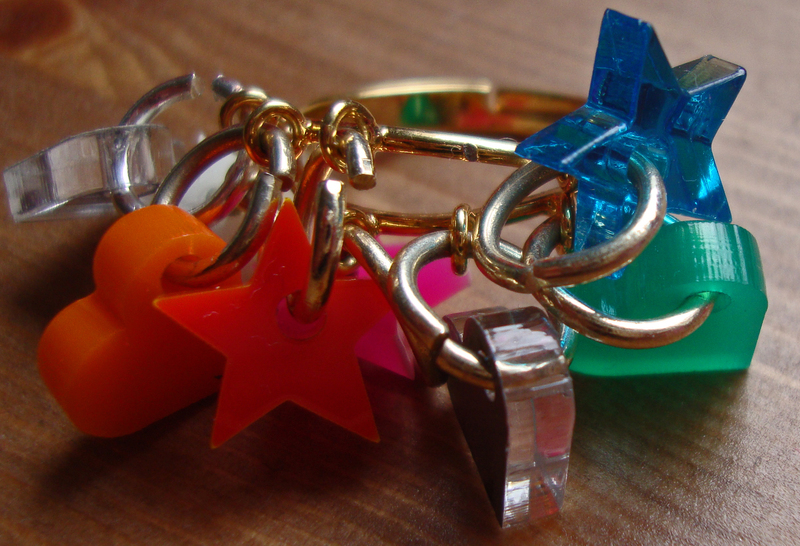 TSA: What has been the most exciting moment for Tatty Devine so far? H We have had many exciting moments in the past eleven years. Opening our Covent Garden store was such a highlight. We paraded through the streets of Soho from our old shop with a brass band leading the way. It was very special. 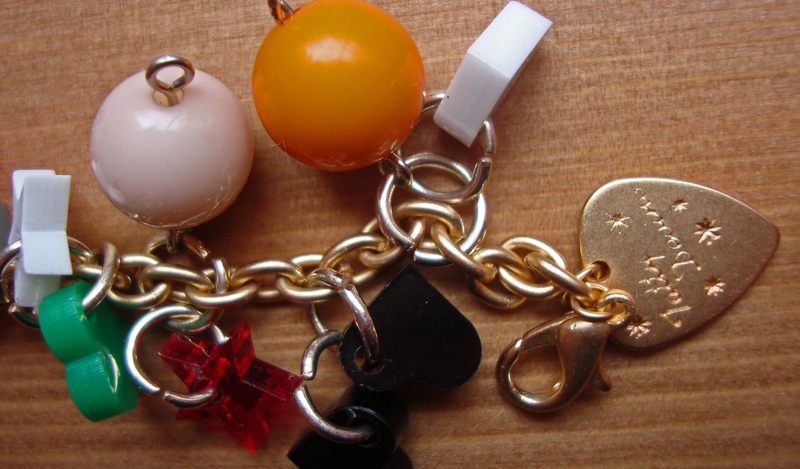 TSA: Do you have a most loved piece? H: The dinosaur necklace still send shivers through us, inspired by the dinosaur at London’s Natural History Museum it is made up of fifty bones that are all hand beaded together. Every season we have different favourites, I loved the Goggles Hairband from our last Autumn Winter collection, but the dinosaur is a classic. TSA: You’ve collaborated with a number of artists and musicians in the past including two of my personal favourites, Rob Ryan and Belle & Sebastian. Who would be your dream collaboration? TSA: You’ve recently held a number of workshops for events such as Make Do and Mend and The Papered Parlour, how did these come about? Do you have any more lined up for the near future? H: We love doing the festival circuit every year, and going to different stockists around the country doing little pop-up shops, as its nice to get out of London. Our next one thought, that we are very excited about will be held at the British Museum in May, which inspired our current collection, so it’s nice to go back. 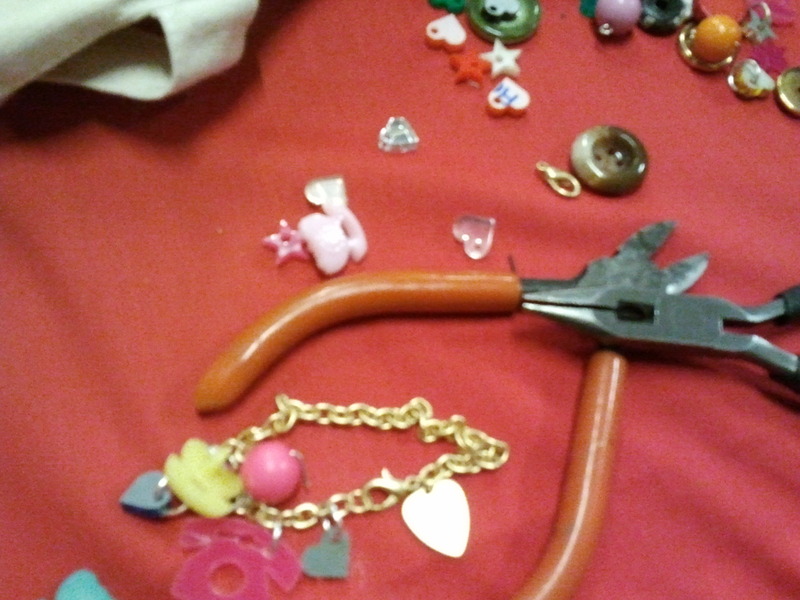 TSA: What advice would you give to budding jewellery designers? H: Make original, inspired design and wear them out whilst you’re having fun to see what reaction they provoke. If you plan on selling what you make then ensure you cost in your time too. Try and have a good idea of what is being made by your contemporaries, try to ensure you are not making work that already exists. Have fun, be brave! TSA: Where do you see your brand in 10 years time? H: Hopefully going from strength to strength! And with slightly numb fingertips but a horrendously goofy grin (see previous post for evidence of said grin), I wandered off with Shinks to the pub for a glass of wine and the chance to jangle my wrist at complete strangers.